Website design IT technology companies | When Georgetown Analytics and Technology was looking for a Virginia based website design company they choose VISIONEFX to design their new website. They required a clean website design that was also mobile ready for hand-held devices, tablets, laptops as well as desktop computers. The website features duo tone blue-black color composites designed in Photoshop. The challenge was to create visual concepts that visually presented the companies technology solutions. The website also features 3 technology focus box areas that highlight areas of IT services and experience. 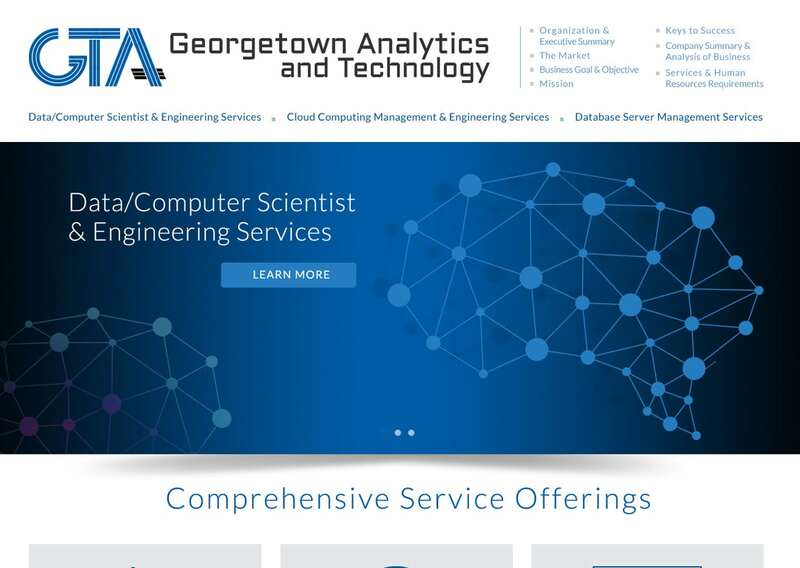 This recent Web design Montclair VA project for Georgetown Analytics Technology provides a competitive branded website presence in a highly competitive space. When searching Website designers Montclair VA look no further than the web design experts at VISIONEFX. VISIONEFX, a Web design company based in Virginia provides services to national companies as well as small to medium businesses throughout the United States to include; custom web design, web development, E-commerce web design, Word Press web design and Joomla web development. SEO search engine optimization services. Super fast web maintenance, website repair. Websites fixed fast. Call: (757) 619-6456 or email info@visionefx.net.